The world of glassware is more complex than many know, particularly when considering specific beverages. Shapes, sizes, weights—all of these factors are instrumental in appreciating your favourite drinks. Although beer sometimes has a rather lacklustre reputation in circles indulging in beverages such as wine and brandy, the world of beer is nonetheless complex. Hundreds of styles exist, creating flavours that wildly differ. Beer glassware reflects this variety, being offered in dozens of interesting, and often bizarre shapes (see this Kwak glass, for instance). Specific beer glasses are used to display the characteristics of different styles of beer, particularly those considered as defining qualities (such as carbonation, head retention, and aroma). The classic pint glass, with its iconic taper and wide mouth, is the all-star of the beer glassware world. It suits a huge variety of styles, except for stronger, sweeter styles such as those coming from Belgium. It certainly explains why pubs stock them! How do you know how to differentiate the glassware used to pour a Flanders red ale and an American India Pale Ale? With some research and understanding the fundamentals of beer, it doesn’t take long to become second nature. Although it is not crucial to pair beers with specific drinking glasses, you’re potentially missing out on potentially incredible flavours and aromas by not pouring your beer into the correct vessel. Beers containing a high amount of carbonation, such as lagers, benefit from glasses that showcase this carbonation and appropriately release volatiles to ensure aroma is released in the best way possible. Pilseners, another high carbonation style, has its very own glass (which of course, other lagers can be poured into). This glass similarly showcases carbonation and ensures aromas are released efficiently. Darker beer styles, such as stouts and porters, can benefit from several types of glasses. Apart from the iconic pint glass, dimple mugs (another very recognisable glass), goblets and snifter glass (as typically used with brandy) all showcase the uniqueness of heavy beers. The latter is designed to funnel the gorgeous, complex aromas typically associated with stronger ales. The glass is designed to be swirled, which in turn agitates the volatiles in the beers, creating the delicious aromas we love so much. Belgian and similar high alcohol styles similarly benefit from goblets and snifters, which concentrates their fairy floss, malty characteristics. 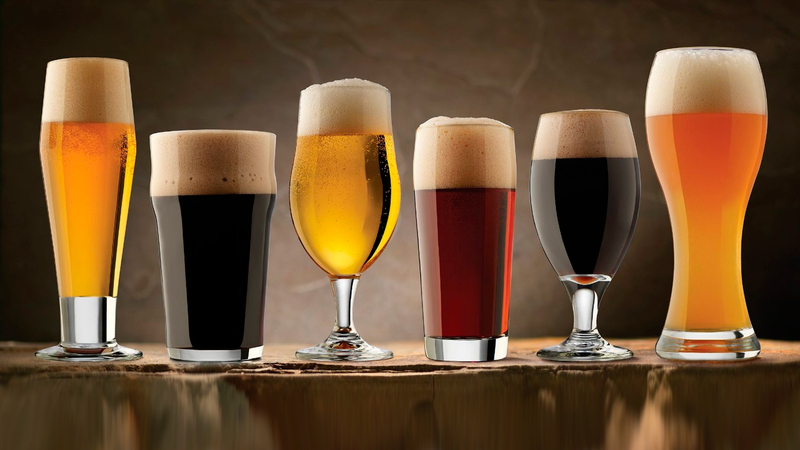 There are numerous more glass styles to suit beers, so make sure to peruse our beer glass page to find the right glass for you!